The galvanized steel technology was invented, designed, and tested by Casata Technologies Inc. (“Casata”), a product development company. The principals of Casata have a combined 40 years of experience in the steel, construction, and automotive industries; with specific expertise in materials and mechanical engineering, structural design applications, and construction. Casata has received financial support from Industry Canada (Fednor) & Ontario Northern Heirtage Fund. 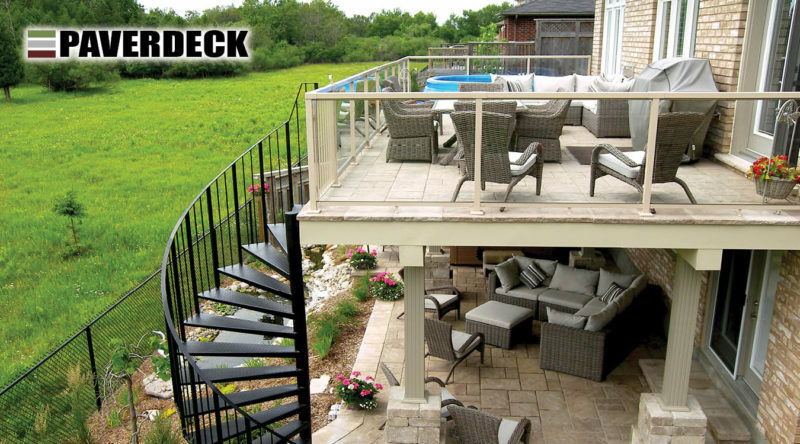 EVOLUTIONDECK Inc. is a professional engineering company, wholly owned by Casata, and authorized by the Association of Professional Engineers of Ontario to offer professional engineering services to the public. The PJT technology is the subject of issued and pending patents in Canada, the United States, and other countries throughout the world. Paverdeck is a trademark licensed from Casata Technologies Inc.